A good start begins with good strain. Strain development play an important role in producing high quality fish. Our farm regularly checks and compares the strains to assure that our customers get the best strain. We use the latest technology to track targeted fish in the water so that we can collect information on their growth rate. RFID technology is used for wireless connection. 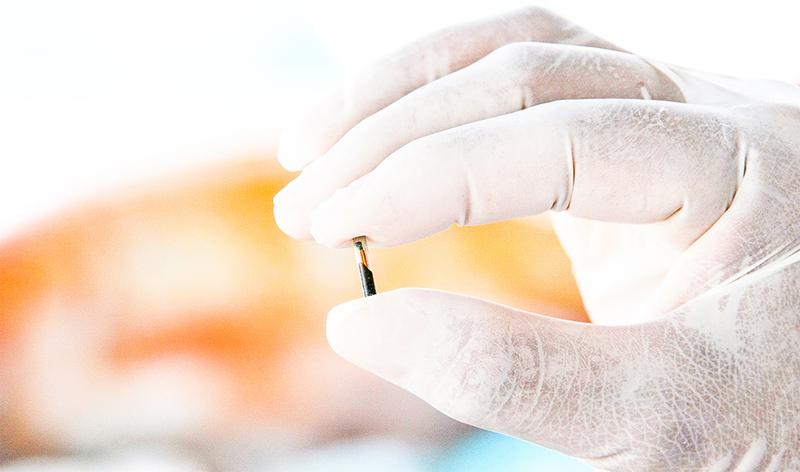 Each rice-sized microchip contains a 15 digit code that used to differentiate each fish. 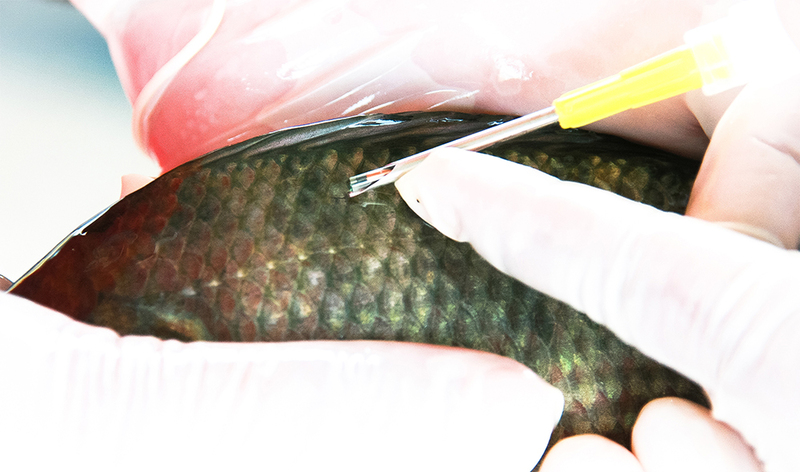 After the fish are checked physically under anesthesia, We take a microchip in small needle and inject it into back of each fish. 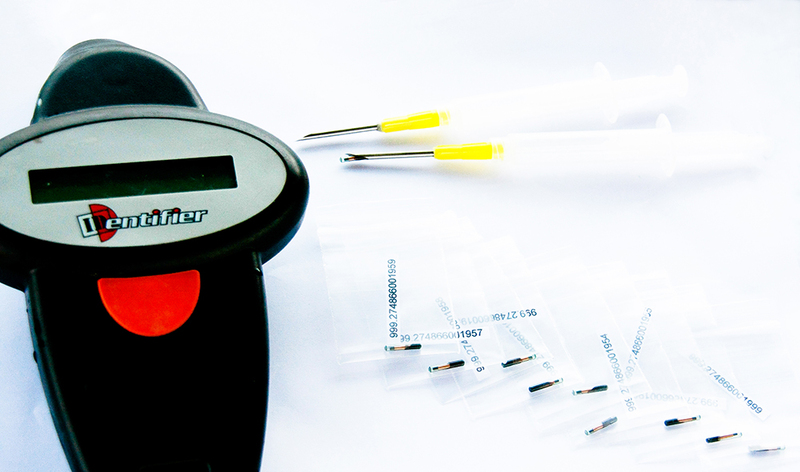 We verify correct placement by rechecking the code. 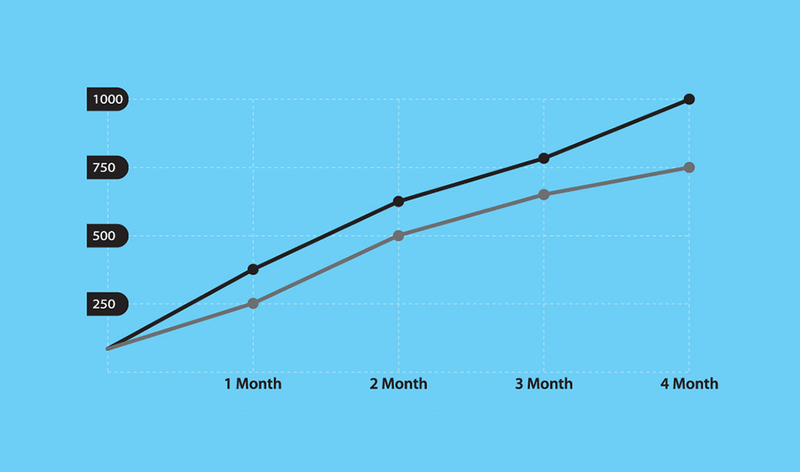 An optimum growth rate is our main objective. We are collecting data continuosly to develop strains that will be most effective in the field. Our strain showed that it is effective in both technically and practically.